Sometimes I get tired of taking my big camera everywhere. It's hard. Sometimes people get annoyed when you take pictures of them, sometimes people take advantage of the fact that you have a nice camera, and sometimes you just get tired of taking pictures. I've been there. When I first got my camera, I took it literally everywhere with me. It was great, until I realized I wasn't enjoying life as much because I was always worried about getting pictures. I began to take my camera only to events I really needed and wanted to remember. That way I was never forced to take pictures of every single thing that ever happened. And I have felt much better since I made that decision. But the cool thing is that because of my iPhone, I can use that camera to take pictures. You're probably laughing right now because the difference in quality is huge, but the best camera is the one that's with you. I can use Instagram to make my iPhone photos more interesting and I don't feel bad or weird taking pictures of everything. It's quick and I don't have to haul anything heavy around. Perfect. 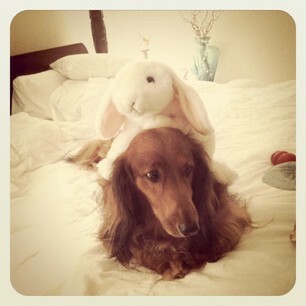 I actually use Instagram on a daily basis now that they updated the app and I am so thankful for all my pictures. Since I've been taking so many lately, I thought I would pick some and share about them. Here goes. I'm in Crafts this year at school and besides the loudness of the people in the class, I looooove it! Haha. 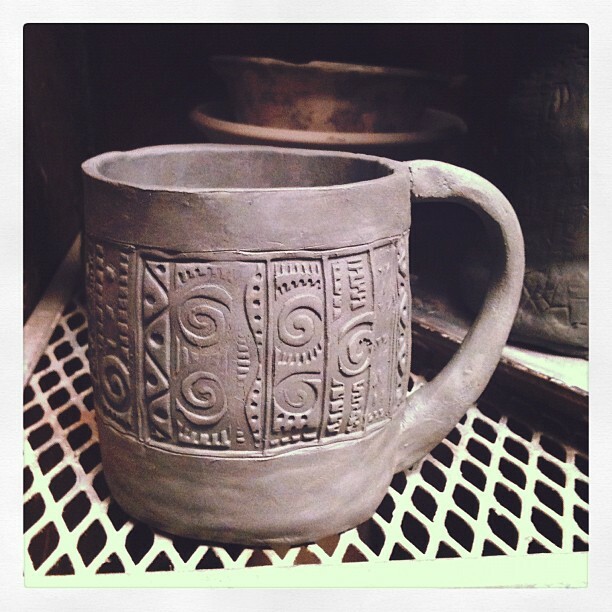 We do the coolest crafts and I love learning all this new stuff. 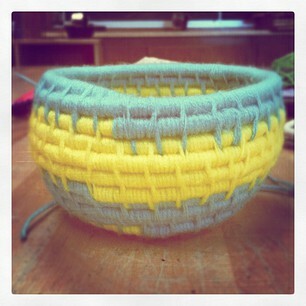 This is a yarn basket. I just used yarn, bendy, cotton wire, and a plastic needle. Yes, it took forever but it matches my room and is freaking sweet. 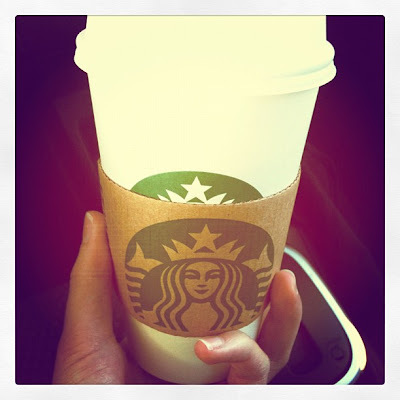 Yesterday, I finally tried the pumpkin spice latte. I usually can't drink coffee in the morning because it makes me shaky and this latte was a tad too sweet, but I still liked it! The funny thing is that I usually like my coffee overly sugared so I guess I'm growing to like darker coffee. 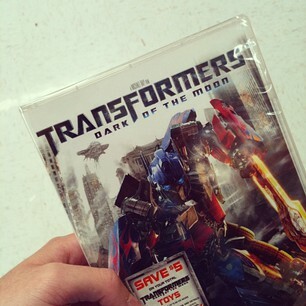 :) But anyway, I feel official now that I've had one. I probably would get another and ask for less sugar but unfortunately, they're $5........ Ehhhh. So many amazing albums have come out (or are coming out soon) lately. Third Day, Coldplay, Needtobreathe, Katie Herzig, Lady Antebellum, Lights, etc. 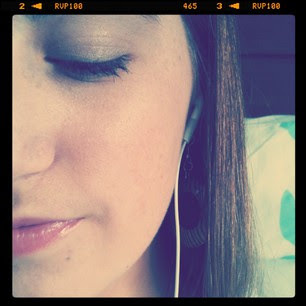 It seems like all I do is listen to music. 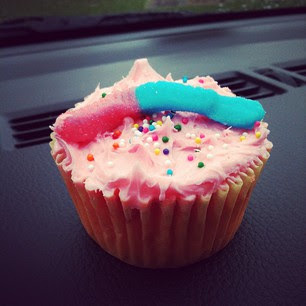 I think my favorite thing about our high school is the fact that they make cupcakes on Friday and sell them. So good. College sturff is stressing me out a bit, though. I have no idea what I want to do or where I want to go and having to think about that and scholarships this early is craziness. My mom was going through all her gazillions of shoes the other day, found these boots, and gave them to me. They're so pretty. 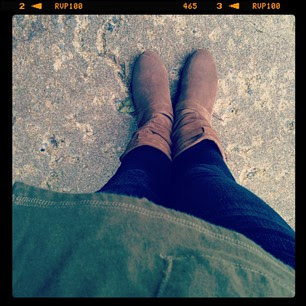 Jeggings, a cardigan, and suede boots = best outfit for a fall day. I'm surprised my dog hasn't bitten me. Hahahaha. This is what happens when I'm bored at night. This is the pool I have access to because of my gym membership. 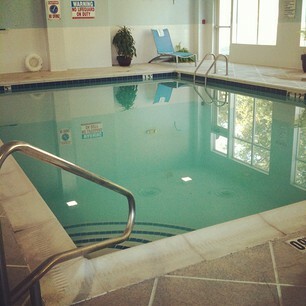 I tweeted something the other day about how I was going to swim at the Best Western and people thought it was funny. Hahahahaa. I would've laughed, too. Strange? Yes. But is the pool nice? Yes. 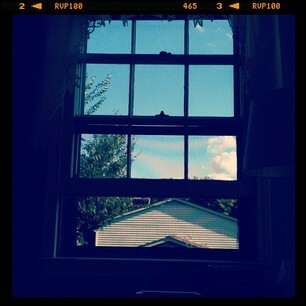 I mentioned in yesterday's post that on gorgeous, fall days, I keep my window open. It's lovely. 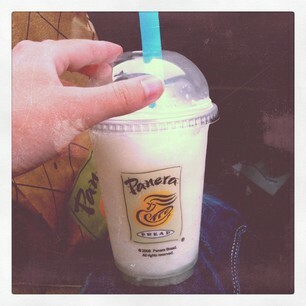 Panera's frozen lemonade? Mhmmm. So good. Sometimes I drive all the way to Charlottesville just to get one. Haha. 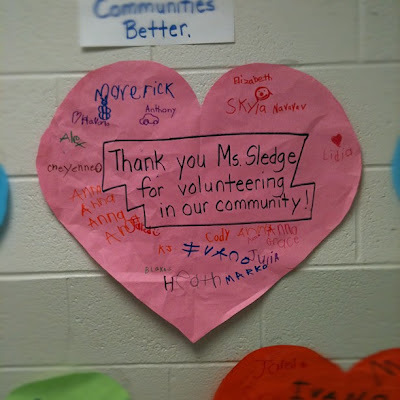 I've been volunteering for one of my favorite teachers who taught me first grade. She still teaches first grade, just at a different school, and I love it!! The kids are seriously the sweetest. They randomly come up to me and give me hugs. Why can't everyone stay that nice?! They're so innocent and cute. Haha. I love them and they made this sign for me last week that made me day. Well, this is why the best camera is the one that's with you. I get to take pictures of everything and it's so easy. I just love Instagram!!!!! :D Hope you enjoyed this. Have a great Thursday, everyone! And to my new blog followers, welcome! I'm so glad you're here!!! I love your Instagrams :) and frozen lemonade, yum! 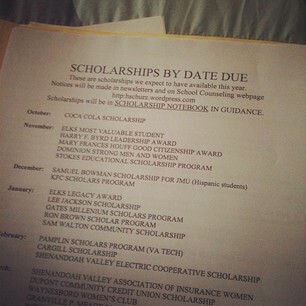 I have to get into all that college stuff next year, and I'm not looking forward to it. ick! 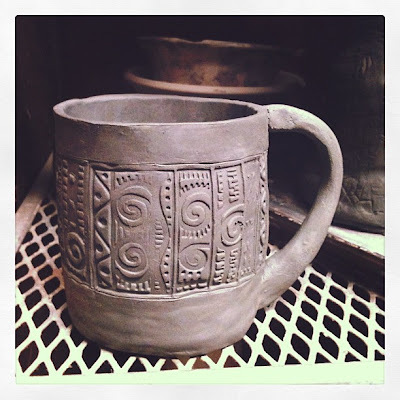 Beautifull pics, love your blog!Kisses! !